With your help, Vagabond Missions works to break the cycle of hopelessness in the inner-city. Watch John’s story to see the impact you can make. We have worked in dioceses around the United States including Pittsburgh, PA, Steubenville, OH, Wichita, KS, Raleigh, NC, Brooklyn, NY, and Rochester, NY. We have shared the Good News with over 3,000 teens and currently work with over 400 teens annually. We have helped over 125 unchurched kids come into the Catholic Church. Physical poverty in the inner-city has lead to spiritual poverty. We bring the Good News to neighborhoods and kids who are unchurched. Lives are being changed as missionaries and adult volunteers invest their time in teens’ lives. Pittsburgh, PA (Garfield and Sharpsburg), Wichita, KS, Steubenville, OH, & Greenville, NC. 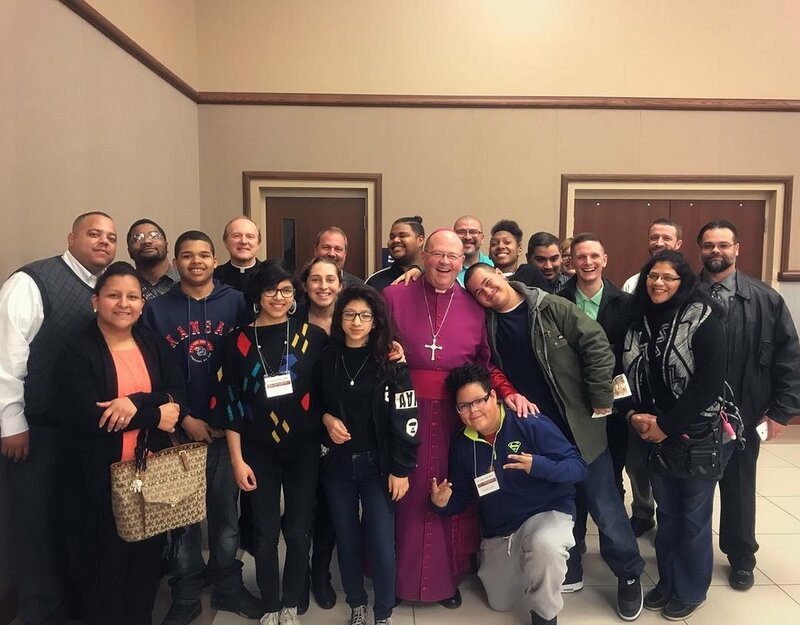 We invite inner-city and urban teens into a relationship with Jesus Christ and His Church, through contact work, discipleship, and solidarity with the poor. In each of our missions we place four to five missionaries to live, love, and serve inner-city kids and neighborhoods. Our model is modeled after the Incarnation. Jesus came to the people and lived among them. A lot of their time is spent meeting kids where they are: in their schools, after school, sports games, parks, basketball courts, etc. Each week we typically offer programs at our mission sites: “Breakout,” which is our youth group outreach night designed for unchurched kids, “Worship,” which is our bible study night, guy and girl discipleship groups, “Jesus Class,” which is our RCIA for teenagers, and after school drop-in hours. The Urban Undergrounds are our youth centers in each mission site, where we hold our weekly activities. Your investment helps create a safe place for kids to eat, grow, and come after school for fellowship. Retreats, camps, and mission trips are life-changing opportunities for kids to get out of the inner-city and have tangible experiences of faith, friendship, and hope. In every location we partner with the local diocese and a local church. Often these parishes are the home of our Urban Underground. We also take kids to Mass weekly and coordinate RCIA with the local parish. Partner with us in changing lives. You can make a one time, monthly, quarterly, or annual gift. Volunteers and Missionaries make our weekly work possible. There are many ways to make a difference with your time. Give a year of your life to serve the poor. Be a missionary. Change a life. It might just be yours.